During the past several weeks we’ve seen members make the Leaderboard for the CrossFit Games, travel to California, Virginia Beach and Richmond, VA to fight in BJJ and Muay Thai competitions, and the MMA team began their weight cut for the Fight Night Challenge this weekend in Charlottesville, VA.
One of the more interesting stories occurred last night… Talylor Bezerra waited for THREE days before she finally got her one and only fight – at 10:30PM on Sunday night – becoming a #WKA champion! 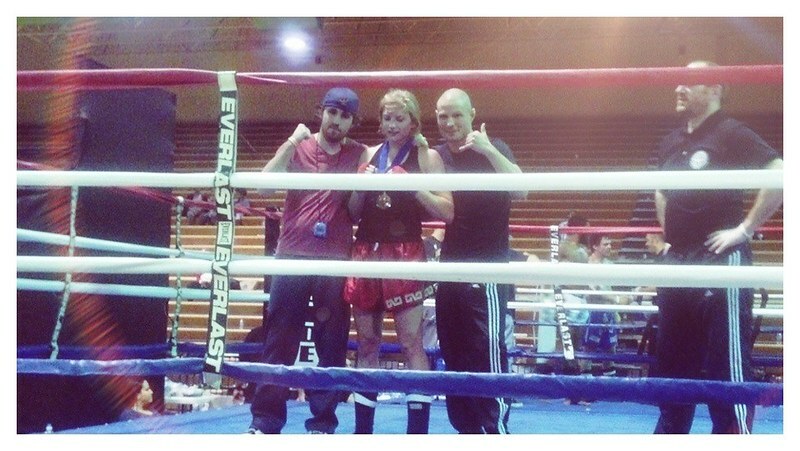 And she wasn’t the only one waiting for her fight; here you see Coach Raff Kellywith her after her victory. The picture was taken by Coach Shawn Hodges. But, that’s what makes this community special. The constant support of members and coaches, facilitating the constant improvement of fellow members and coaches. Congratulations to each and every one of you, currently working on your – or helping someone with their – competitive goals.